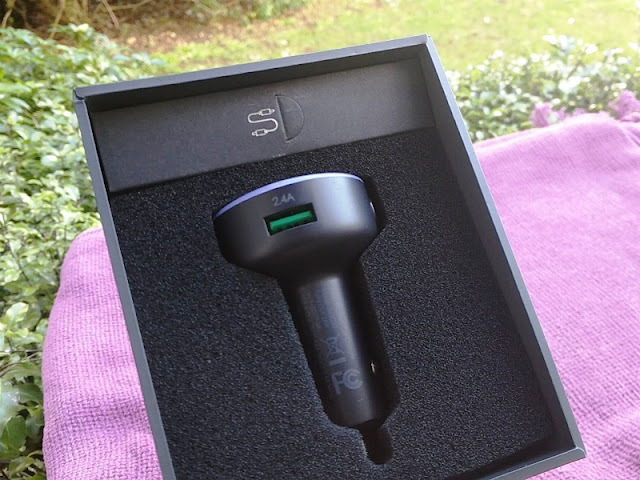 With all the gadgets we use in our cars these days, most of us need a portable charger and what better way to recharge your gadgets in a car than with a double USB car charger! 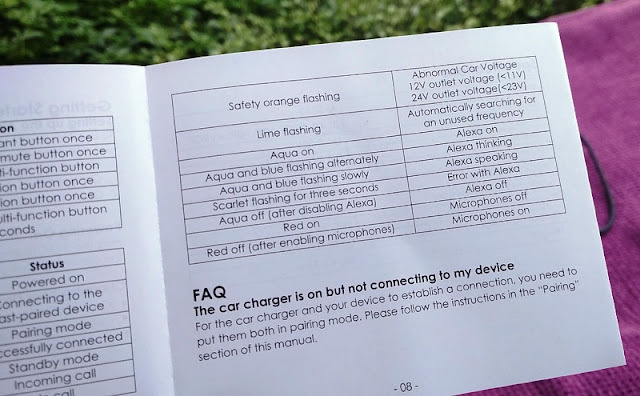 There are plenty of USB car chargers to pick from so one that comes with extra features makes the most sense. 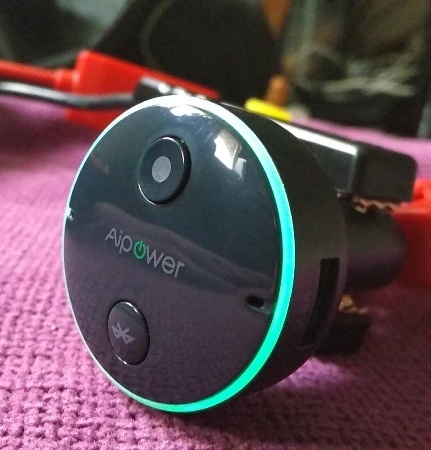 Take for instance the Aipower AI-SC10; a perfect little 4.8 amp double USB car charger with Alexa features and bluetooth built-in to it. 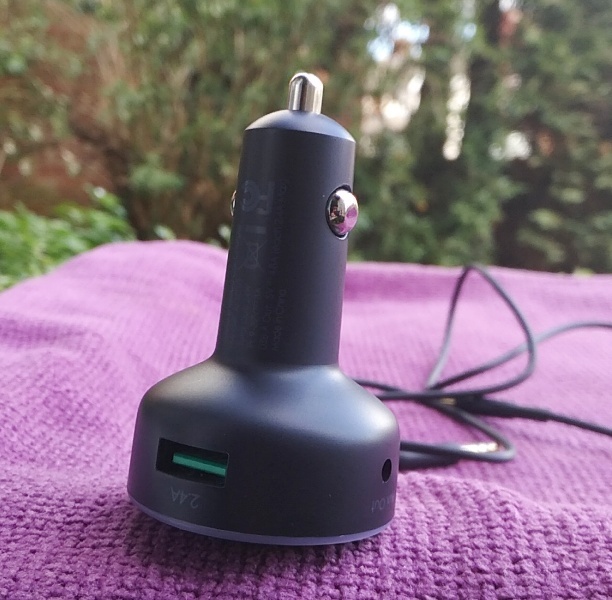 The Aipower AI-SC10 looks like a regular USB car charger but it has a rather unique design with a large head circumference (4.5cm) and circular metal contact prongs. 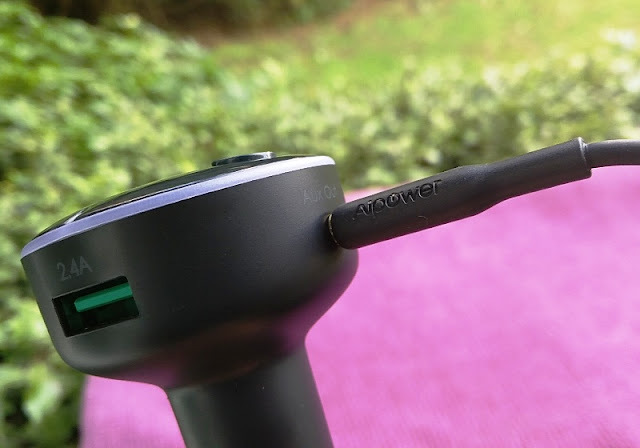 The Aipower car charger weighs only 38 grams and measures 7cm long. 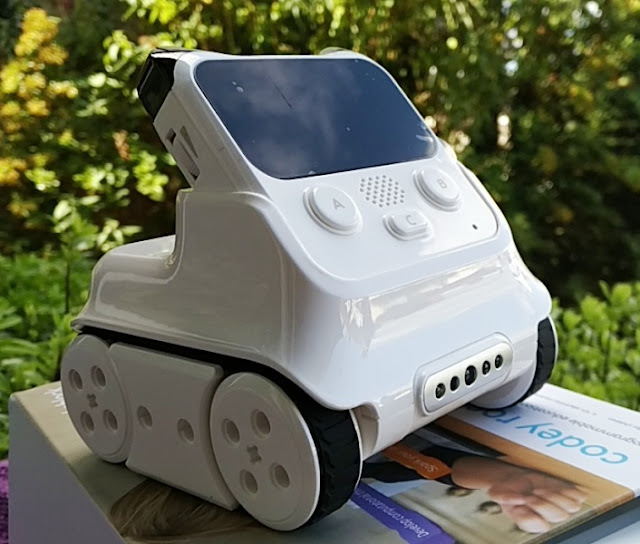 The main body has a matt metallic finish with a plastic front fascia. 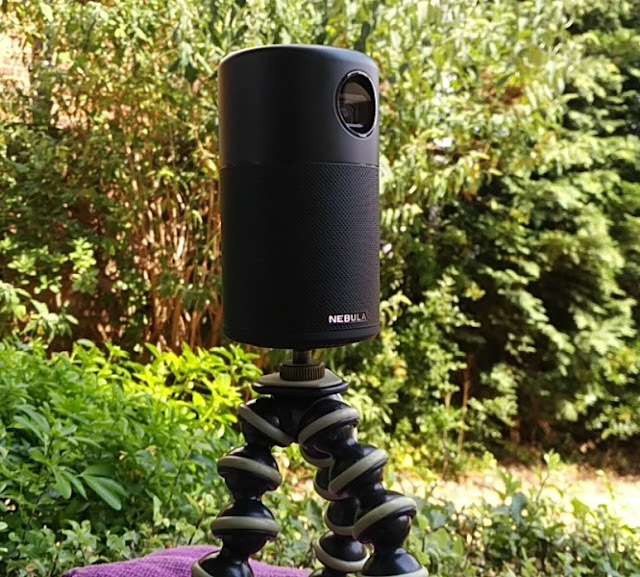 Aside from doing a good job at fast charging your gadgets, the Aipower AI-SC10 does many other cool things like provide voice assistance via Alexa. 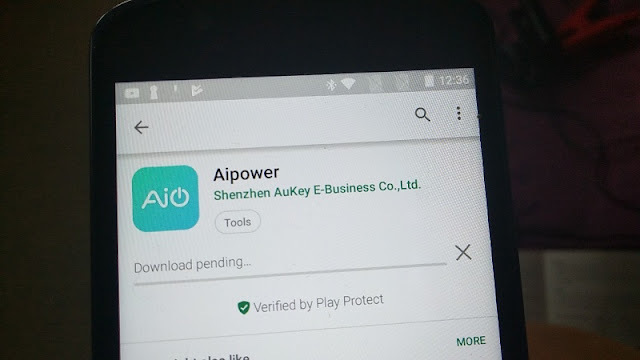 To use Alexa though, you need to download the Aipower Smart mobile app (Google Playstore or App Store) and sign up for an account. 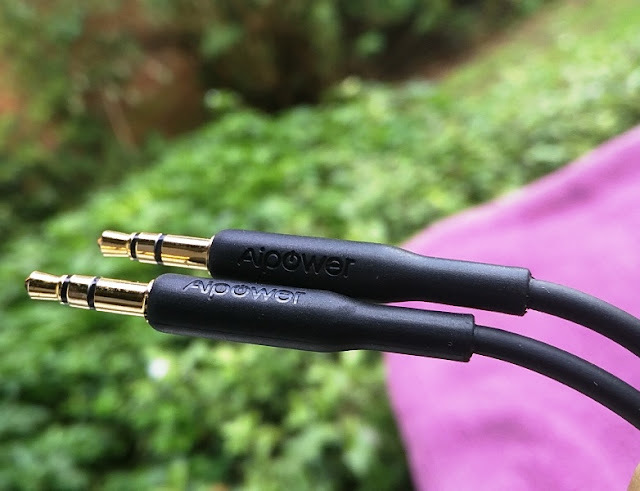 Other useful features include auxiliary out (aux out) so you can output audio to a speaker via an audio 3.5mm cable which is included with the Aipower charger. 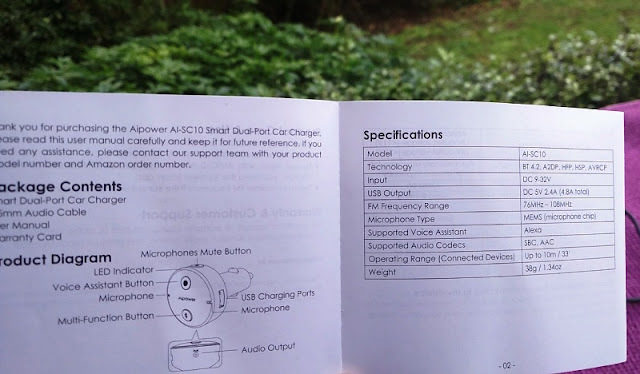 There are also two microphones built-in to the Aipower AI-SC10 car charger which are located on either side of the car charger on the front fascia. 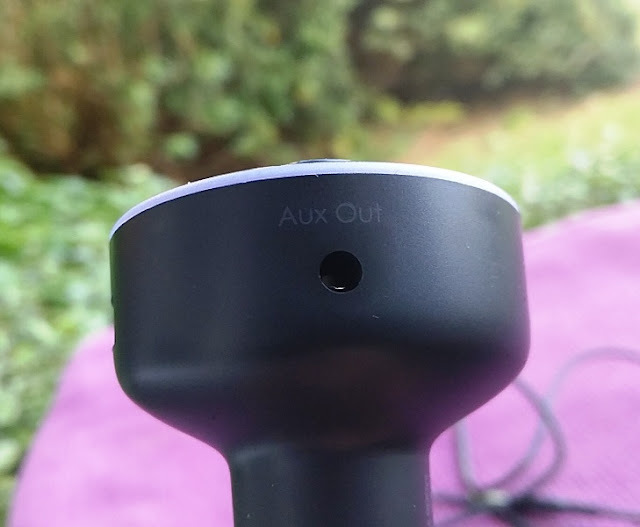 You can temporarily enable and disable both microphones at a push of a button located on the side of the car charger. 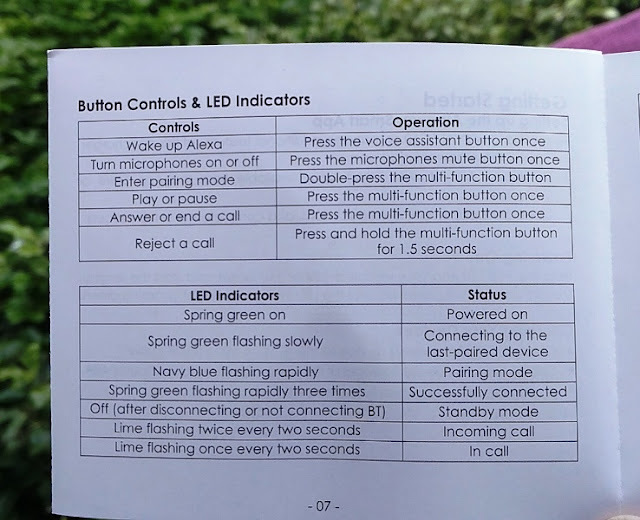 The mute button has a crossed out microphone symbol for easy identification. 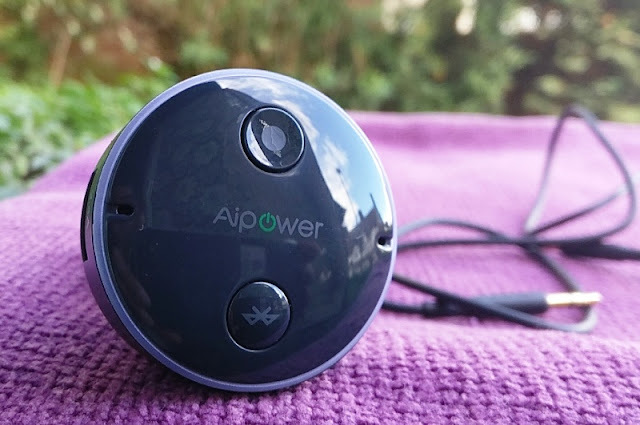 As mentioned earlier, the charging performance of the Aipower AI-SC10 is very good thanks to dual high performing USB ports located along the head circumference. 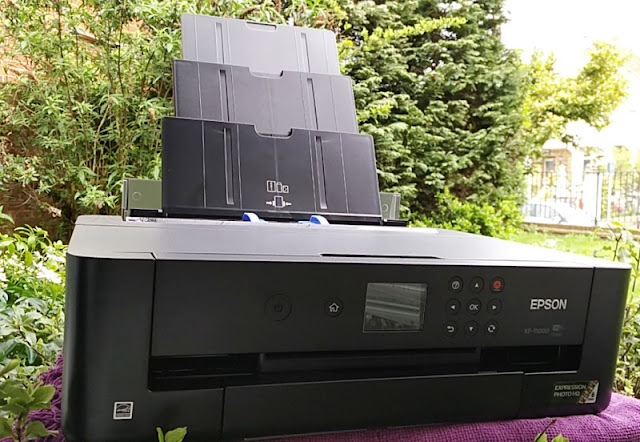 Each USB port is capable of outputting 2.4A at 5V which is enough power to charge two iPads simultaneously. 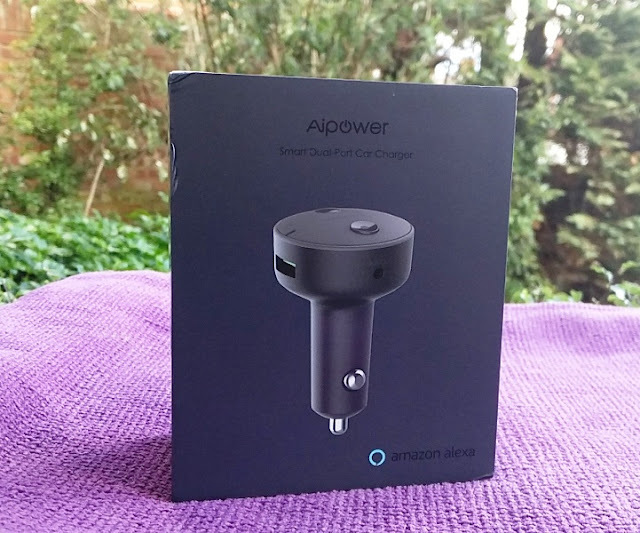 On the face of the Aipower AI-SC10 car charger you find "Aipower" wording, two additional buttons (voice assistant button and bluetooth button) and an LED ring led light designed to provide pairing status, as well as voltage status of your car battery. When the car battery is low, the ring light turns pulsating yellow to warn you the car battery is at low voltage. When plugged into a 12V cigarette socket, the car battery low voltage warning kicks in when voltage drops from 12V to 11V. 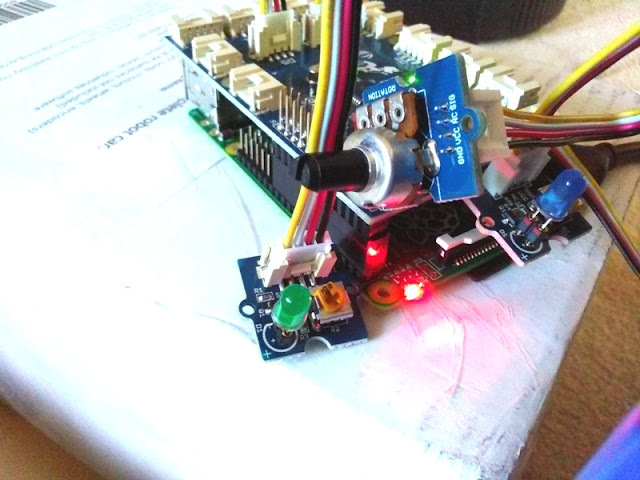 When plugged into a 24V cigarette socket, the car battery low voltage warning kicks in when voltage drops from 24V to 23V. 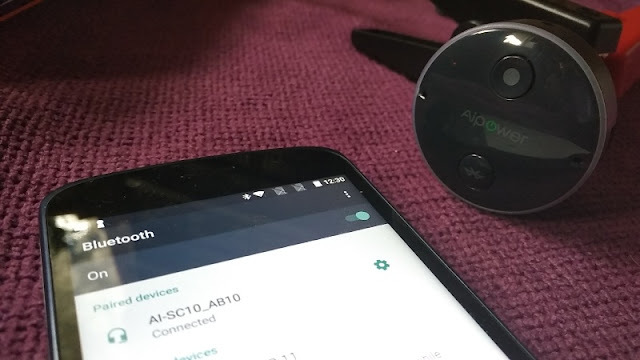 The Aipower AI-SC10 connects wirelessly to a smartphone or tablet via bluetooth 4.2 and can stream audio wirelessly using SBC codec and AAC codec. 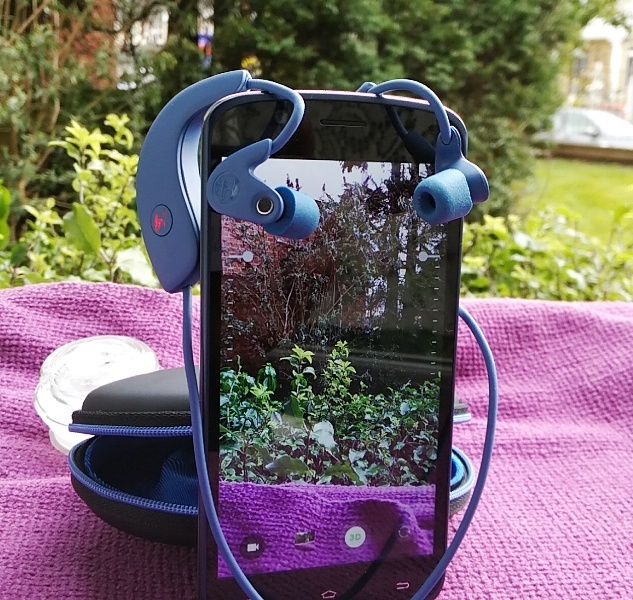 Both SBC and AAC are supported by android and Apple devices although AAC offers better sound quality than SBC. If you are an android user you can listen to music downloaded from iTunes as long as the songs don't have Digital Rights Management (DRM). 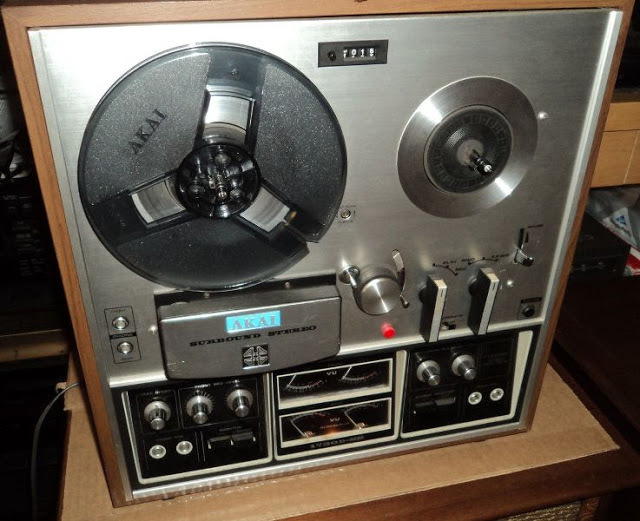 Any iTunes song that has the Protected AAC format won't work on Android because Android devices don't support iTunes' DRM, but you can upgrade these songs to Android-compatible Purchased AAC files if you want to take your iTunes library to an Android phone. 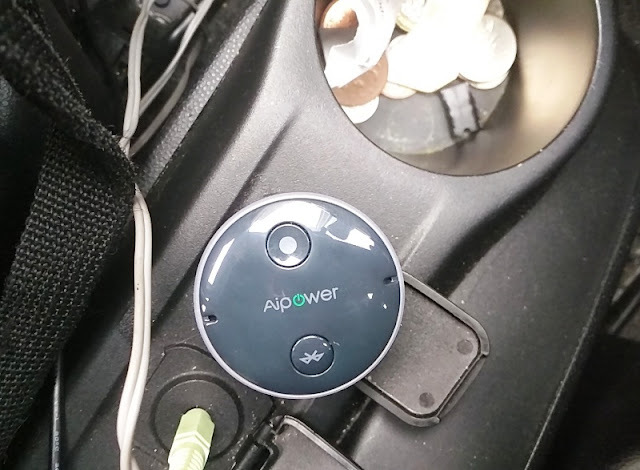 The Aipower AI-SC10 car charger also features AVRCP, headset (HSP) and hands-free (HFP) bluetooth profiles so you can take phone calls using the Aipower AI-SC10 car charger's microphones to speak through and the speakers of your car to listen to the call. 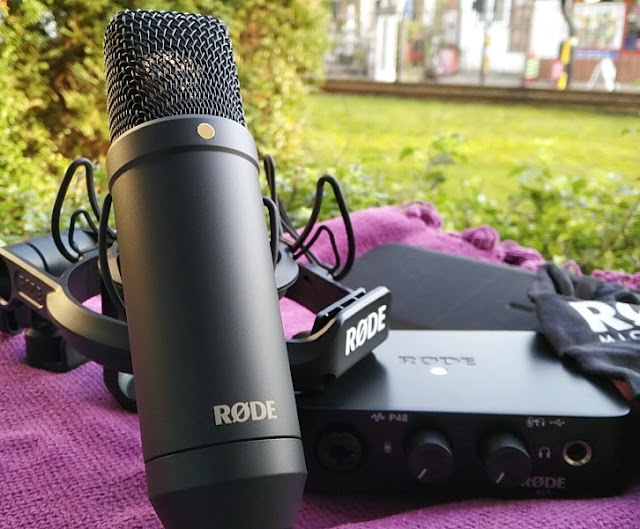 The Aipower AI-SC10 microphones are wired to a single MEMS mic chip board which is the same type of MEMS microphone chip used in smartphones so you get clear audio quality, good amplification and noise cancellation built-in. 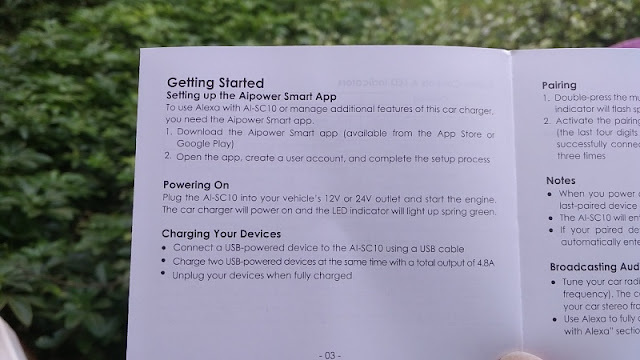 The car charger also integrates the audio/video remote control profile (AVRCP) so you can remotely control the wireless audio playback coming through your phone from the Aipower charger itself so you don't have to reach out to your phone. 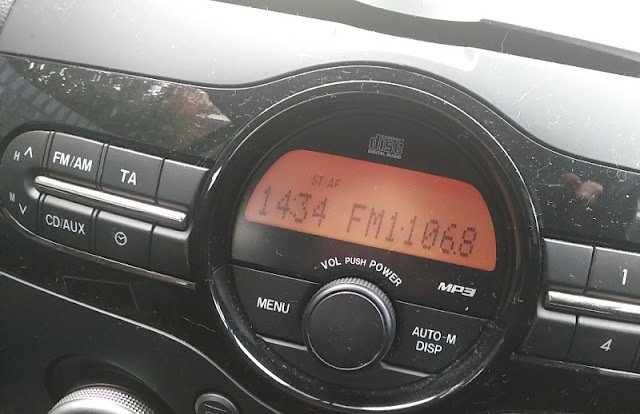 Aside from being able to take hands-free calls, you can broadcast audio from your smartphone to your car speaker system by tuning the setting of your FM radio to 106.8Mhz. 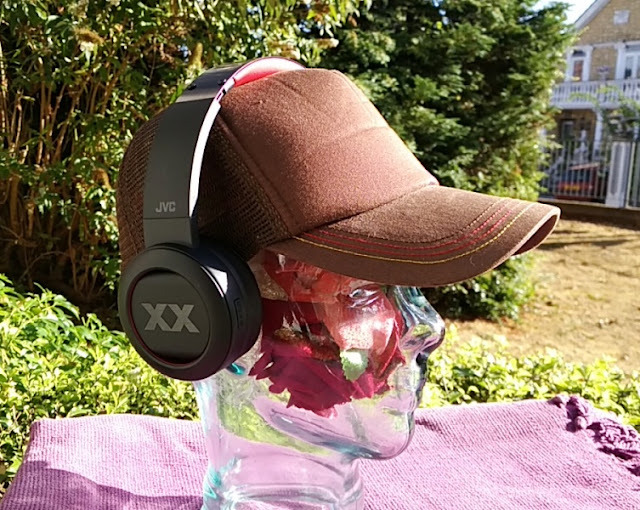 Audio playback is fully controlled by Alexa although you can manually adjust volume settings from your radio and play/pause by short pressing the bluetooth button. 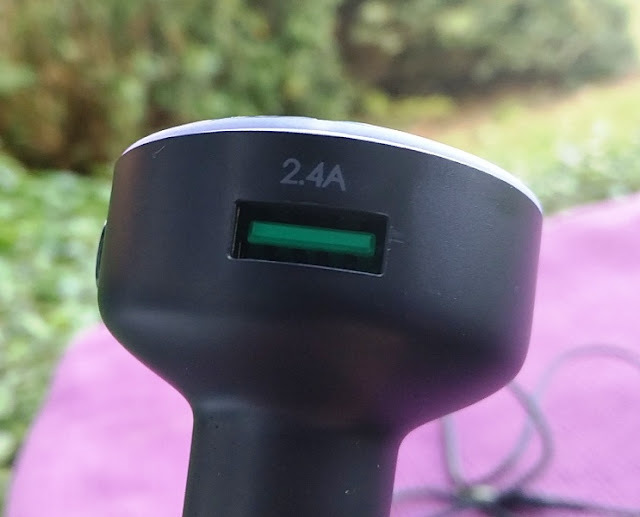 Another feature that makes the Aipower AI-SC10 car charger stand out is the DC Input range which is from 9V to 32V, compared to 12V/24V of most car USB chargers. 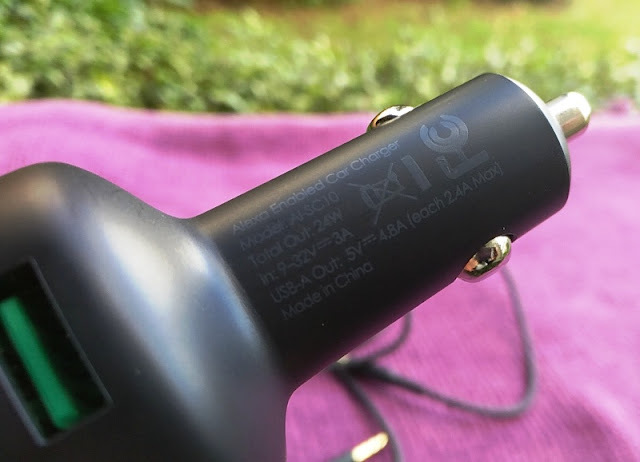 This means, if you own a vehicle with a high voltage cigarette lighter socket you won't need a voltage dropper/ converter or even a 12V power inverter. 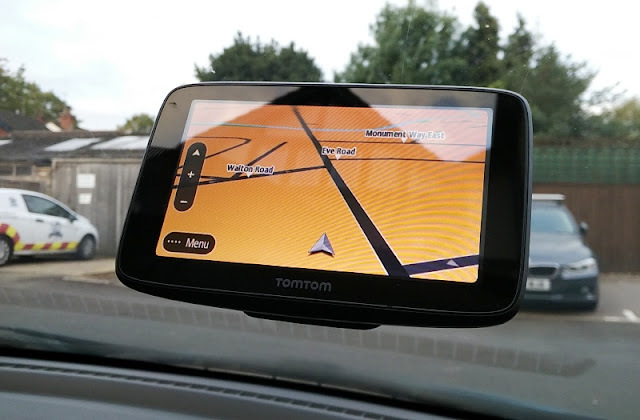 Trucks and campervans are mostly fitted with a 24V cigarette lighter socket which can make it inconvenient when wanting to use, say, a 12V fridge. 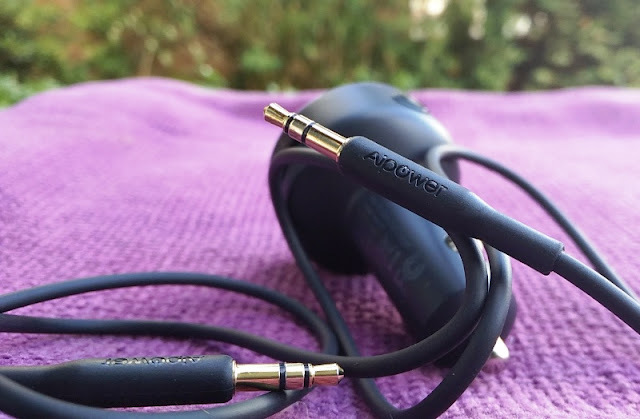 The Aipower AI-SC10 car charger is plug and play, saving you also the bother of having to hardwire a permanent voltage dropper.